A trademark for Fi has been filed by Google in the Canadian Intellectual Property Office — don’t get excited yet though. Google Fi is the Mountain View, California-based company’s MVNO telecommunication platform that offers cellular service. The platform operates on networks owned by U.S. carriers like Sprint, T-Mobile, U.S. Celluar and Three. Google first launched Fi back in April of 2015 exclusively for its Nexus 6 smartphone. 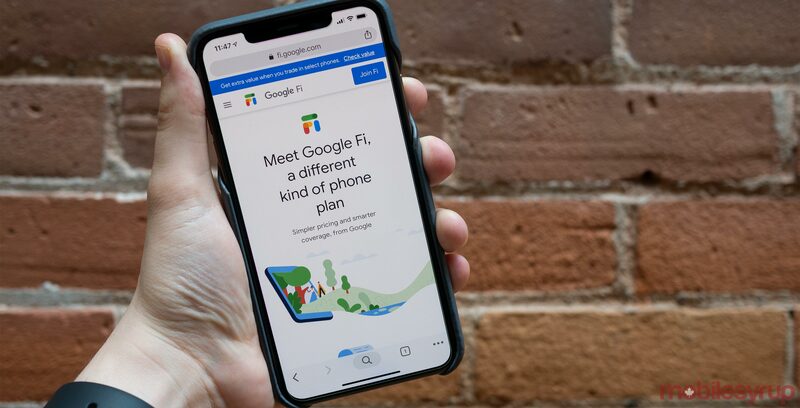 Support for additional devices like the Pixel and Pixel XL was eventually added in 2016, followed by a rebrand from ‘Project Fi’ to ‘Google Fi’ in 2018. In the U.S. a subscription to Fi is priced at $20 USD per month for unlimited calling and messaging. Additionally, users pay for each megabyte of data up to a maximum of 6GB (about $60 USD), with free data beyond that. It’s possible, though unlikely, that Google could have reached an agreement with a major Canadian carrier like Bell, Telus or Rogers regarding Fi’s launch in Canada. As with every trademark filing, this doesn’t necessarily mean Fi is coming to Canada. Google filing a Fi related trademark in Canada could be the tech giant just protecting its intellectual property. Along with filing a Fi, Google also recently filed a trademark for Duplex in Canada, the company’s extension of Google Assistant that is capable of carrying natural conversations. The trademark for Duplex was filed on January 28th. Update 02/09/2019: Corrected the explanation of Fi’s data plans to more accurately reflect how users pay for data.